PROVIDENCE, RI (September 30, 2010) PIXILERATIONS [v.7] is a new media showcase in Providence, Rhode Island that investigates the state of new media arts through installations, concert performances and film/video screenings. It is part of the larger FirstWorks Festival (www.first-works.org), a multidimensional performing arts festival held in Providence each fall. Pixilerations is produced by FirstWorks in collaboration with the Rhode Island School of Design, Brown University, and the City of Providence's Department of Art, Culture + Tourism. 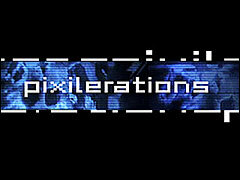 Now in its seventh year, Pixilerations showcases groundbreaking work in digital music and art. 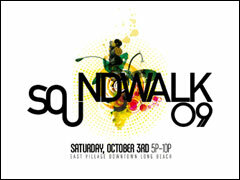 LONG BEACH, CA (October 3, 2009) In its sixth year, SoundWalk, taking place on October 3rd, is an annual art event produced by the Long Beach artist group, FLOOD. The evening operates under the concept of a one-night multi-sensory experience as conveyed through sound art that is situated in various indoor and outdoor spaces throughout the East Village Arts District in Downtown Long Beach. LONG BEACH, CA (September 22, 2007) The Long Beach artist group, FLOOD, will present SoundWalk 2007, featuring artists from the Southland and the international scene. This event operates under the concept of a one-night aural/visual experience as provided by a walking-tour of sound installations and soundmarks located in various indoor and outdoor spaces situated throughout the East Village Arts District in Downtown Long Beach. The artworks will combine in multiple ways a wide range of visual, performative and audio components. There will be sculptures, environments, installations and performances. 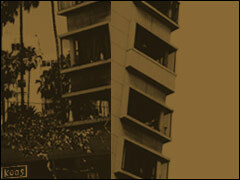 Redux is proud to present FROM PILLAR TO POST for this year's SoundWalk. In this piece, a hypersonic sound (HSS) speaker is placed at one end of a medium-sized room and mounted on a motorized turret which allows the speaker to rotate in a horizontal line around the room. As HSS speakers allow the creation of a highly focused beam of sound, the sound played with this system appears to be coming from within the wall at which the speaker is pointed. As the speaker moves from left to right, the sounds of various articles being torn come from the wall, creating the sensation that the room itself is slowly being torn apart. The degree of motion is specified by the signal level output from the recording, so that the sounds of more violent tearing motions will rip the room apart at a faster rate, and smaller, quieter sounds will take longer to creep around the perimeter of the room. Once the speaker has completed its trajectory, the sound source changes, and the speaker begins its course again in the other direction. As the speaker moves along its path, the sound of a new brick wall being constructed and mortar being laid slowly moves across the room; the length of the construction process being determined by the intensity of activity in its creation. 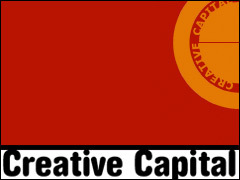 NEW YORK, NY (February 8, 2006) – Creative Capital Foundation, the national arts organization that supports individual artists, announces the recipients of its 2006 grants. Sixty-one artists representing 43 projects in the performing arts, emerging fields, and innovative literature received initial awards of $10,000. 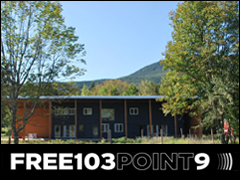 As the projects develop, the foundation offers additional funds; projects may receive as much as $50,000 each through the tenure of the multi-year grant and at least $1 million has been committed to the 43 projects. LONG BEACH, CA (August 20, 2005) – SoundWalk 2005, a large multi-artist installation and performance project, is presented by the Long Beach artist group FLOOD. 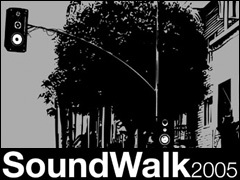 With 60 contributing artists from Southern California, Germany, Italy, UK, and New Zealand, the art follows the concept of a one-night audible/visual experience of sound installations in a variety of indoor and outdoor spaces throughout the East Village Arts District in Downtown Long Beach. The artwork includes a wide variety of combinations with visual and audible components, including environments, installations, and performances. 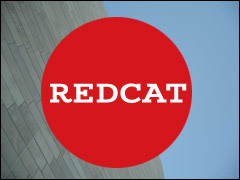 LONG BEACH, CA (May 4, 2005) – Redux premieres RGB SHIFT at Tenbyten Performance Lab in Koo's Art Center, downtown Long Beach. RGB SHIFT is a multimedia performance piece in which three circuit-bent toys are controlled by computer. Each toy is represented by a bar of color in an accompanying projection. The size and location of these bars is determined by the resolution and frequency of the control signal. 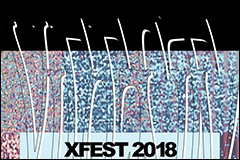 LOS ANGELES, CA (January 19) – The annual music festival presented by CalArts' Center for Experiments in Art, Information and Technology (CEAIT) has been hailed by the Los Angeles Times as "an important contender in the international network of multimedia experimental festivals." For the past seven years, the festival has presented a wide range of performances and installations, many of which integrated other media, such as dance, video, text and computer graphics. Presentations have included works by Todd Winkler, Pamela Z, Joe Colley, Blectum from Blechdom, Bob Gonsalves, Ted Apel, and Douglas Repetto, among many others.